it was on foot of a blog, that I picked up from Twitter, that was from a writer of a TV show I downloaded (Redshirts, so it was). I seem to have a fading connection with bookshops, which horrifies me. Bookshops, and libraries, are essential in that they present for browsing collections of knowledge. Your own subjective interests are present alongside other areas that fascinate. You should, as a rule, be made to consider the arguments of Pliny, or the science of Decision Theory, or any other topic that came to be placed in front of you. Your mind and your taste is expanded, more than any mere Amazon search can do. 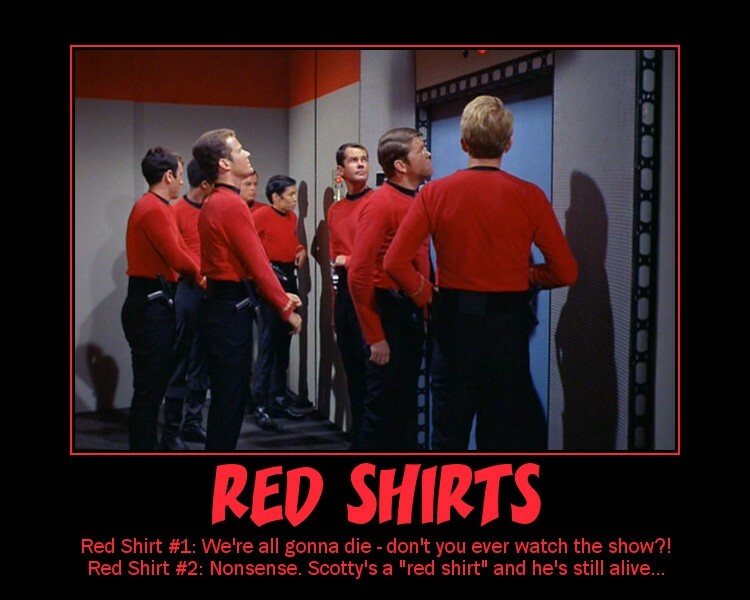 Yup, that kind of Redshirt. I want, and intend, to make a living off my writing. To do that, to make a successful career out of that, I need to overcome all the noise and barriers to attention that people like me put up, and get people’s attention. I need to be in their face in a way that normally I would abhor. What to do, what to do? Why do you buy a book? How do you buy your books? Come on, you’re all smart people. What do you read, and how? I buy books because they’re beautiful and I’m addicted to them. I’m allergic to the internet and downloading and I *hate* the fact that such things are killing our bookshops and putting talented people out of work. I find out about books I want through Twitter and authors’ personal webpages and blogs, sometimes, and also because I tend to collect all the books written by particular authors, and so whenever they have a new one out I buy it. But the main way I find out what books I want is by going into bookshops, browsing, taking my time to check out what’s there, comparing, weighing up one book against another, reading a little of each, and then eventually going home with all of them because I can’t possibly choose. 🙂 I love bookshops, all of ’em, and libraries too. I can’t bear the thought of living in a world without them. A brilliant comment, Sinead, thank you! I buy books for several reasons. One is almost a guilty pleasure, working in a library I shouldn’t need to buy fiction but there is something slightly bold about buying a book I will only read once. I buy old books just because they look good on our shelves. I buy in charity and secondhand shops because its a good thing to do. I rarely buy of t’internet, unless the book is very significantly more expensive in the shop. When choosing fiction I go by recommendations from borrowers in the library (very often), and from friends. I also use the Times book review and try to read at least two wordy award winners per year. Fantastic fiction website works for similar to a specific author. You can *never* have enough fiction!